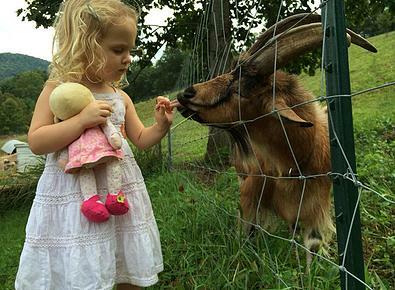 Blue has been a member of our family since long before Franny’s Farm was a twinkle in our eyes. He has taken well to farm life and has grown a long, distinguished beard. 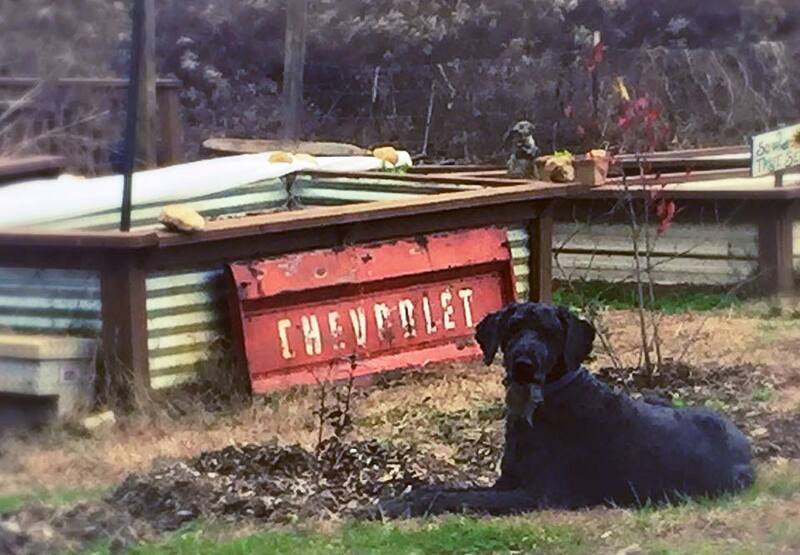 His black coat is becoming salt and pepper as he spends his days overseeing the farm and all of its residents. Blue loves to lay in the sunshine, hike the trails surrounding the farm, a good bellyrub, and his bed near the wood stove. He is really enjoying farm life. 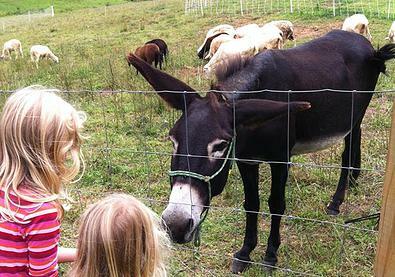 Our sweet and beloved donkey is a rescue. She arrived on our farm malnourished and is lucky to be alive. She has come such a long way and absolutely loves children. The kids at Five Farms Camp made daisy chains they put on her head and around her neck. Abigail loves bananas and carrots but does not like dogs. Her job is as guardian to the sheep and protects the flock from coyotes and fox. 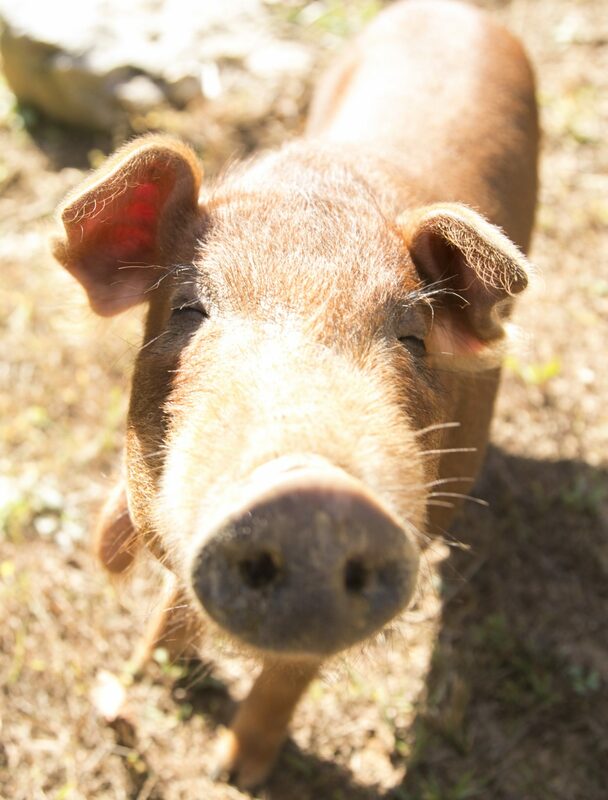 Dumplin or “Dump Truck” is a Red Waddle heritage breed of hog. Dumplin is the runt of the littter and with a lot of love, care and training, you wont meet any other pig with this much charisma. He will even do some tricks for treats. Dumplin is part of the sunshine in the bowl of heaven. To see what Dumplin is up to daily check #dumplinsadventures on instagram. 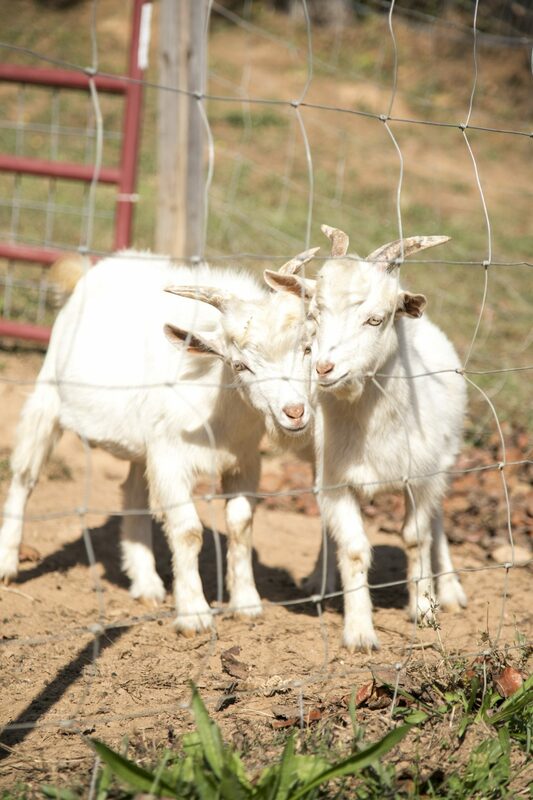 These pygmy goats are brothers, super friendly and love sweet & salty snacks. They are weathers, meaning these boys will never be parents. They love to sunbathe on the roof of their shed and overlook the activity on the farm. Other than sheer entertainment, they are effective at maintaining scrub, brush and the thickets. Lewis and clark came to us from a neighboring farm looking for love. These brothers are half silky and half fainting goats and were named by the kids at Franny’s Farm Summer Camp after the great explorers. The Godfather was Franny’s very first rooster given to her by a dear friend, Chicken Kristi. Although he is no longer with us, his memory lives on and he is featured on a custom corn hole board here on the farm. 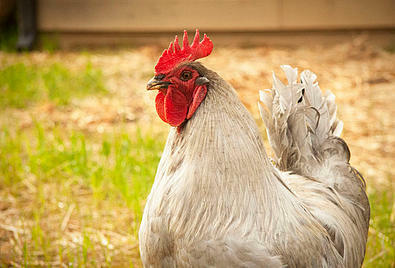 Ruby was the original Rhode Island Red, sweet heart of the egg-laying flock. She is forever memorialized on a corn-hole because she was Franny’s favorite hen. We have since dedicated our mission to raising heritage poultry for meat and eggs with the breeds Barred Plymouth Rocks and. 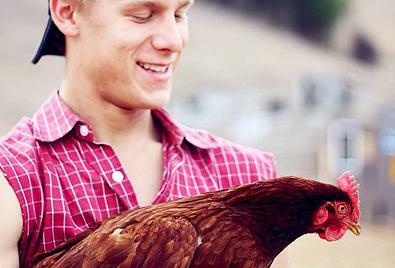 We are proud to have our flock certified by the Sustainable Poultry Network. Katahdin hair sheep provide a practical option to small scale farms like Franny’s Farm. We are focused on creating a sustainable food system. 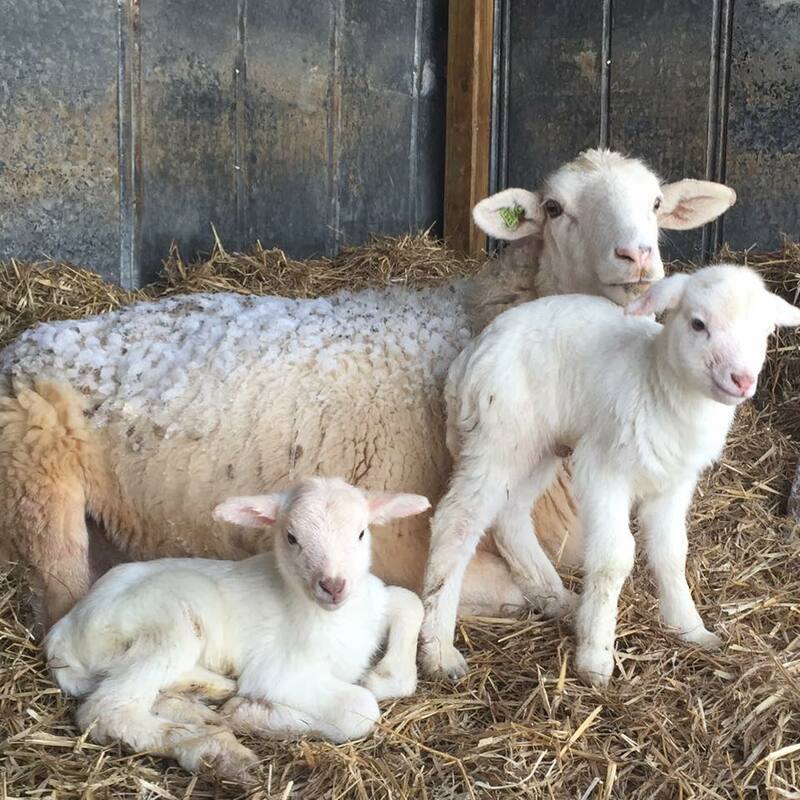 Raising a meat sheep with great lamb vigor, mothering ability and we do not have to shear them which is ideal. We keep a small flock of ewes for breeding and the male lambs are either sold or processed each season. All our sheep have distinct personalities and those sheep that come right up to you were most likely bottle fed lambs. The Pollinator Garden is a great collaborative effort between Bee Charmer of Asheville & Franny’s Farm. 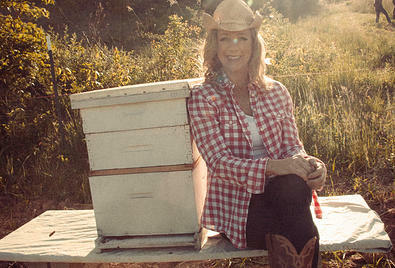 They walk the talk and take care of all things bees! We are happy to support local business, especially when it helps better our community. Franny’s Farm provides an all organic, chemical/pesticide free environment with a variety of food for the bees to thrive and flourish creating a perfect agricultiral balance. Asheville Bee Charmer honey is available in our Farm Store as well as their store in downtown Asheville including a honey bar that is out of this world.